Top 6 Reasons to Choose Natural Gas | Spire Inc.
With natural gas, you get more. More savings, more consistency and more comfort. Whether you know it or not, natural gas fuels your daily life. It warms your home or business, cooks your meals with a precise, even temperature, and helps your community run. And, it’s clean and affordable. Get to know natural gas. Newer natural gas appliances can help you save money on your monthly energy bills, and gas appliances are often more affordable than comparable fuel sources. For instance, the combination of a new high-efficiency natural gas furnace and water heater can save you up to $2,000 a year in operating costs. When you turn on the shower, the water is hot. When you fire up the stove, you cook the perfect meal every time. That’s because natural gas appliances get the job done quickly and use less energy than other fuel sources. Natural gas is energy you can feel good about. As the cleanest conventional fuel, natural gas uses less energy to get the job done. And while the number of gas customers has grown over the past decades, gas consumption has actually decreased thanks to efficient appliances. Natural gas pipelines are underground, meaning they offer reliable energy when you need it. In fact, most natural gas water heaters and stoves work even when the power is out. And, you never have to worry about running out or refilling a tank. Natural gas has helped shaped the future of American energy. The United States is the number one natural gas producer in the world. The industry employs more than 2 million Americans, and by 2035, the natural gas industry will create more than 3.5 million good-paying jobs, supporting our economy and driving growth. Natural gas is regulated by the Public Service Commission, meaning you can have the peace of mind knowing your rates will be fair and we will only bill you for the actual amount of gas you use each month. No need to pre-pay for your fuel. 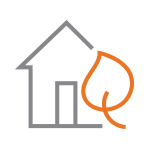 Learn about the benefits of natural gas at home. Natural gas is a great choice for any business. Ready to enjoy the benefits of natural gas in your home or business?